SASI "Professional" is a Child Support guidelines calculation program used to determine child support in a legal proceeding. Maryland Courts and Maryland Offices of Child Support use Sasi-Calc's compute recommended child support*. The professional version also provides financial forms and beta alimony calculator. 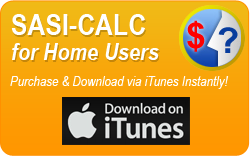 SASI-Calc "Home User" Is now available as a mobile app from iTunes. Our program calculates over guideline incomes to make recommendations for Court consideration. 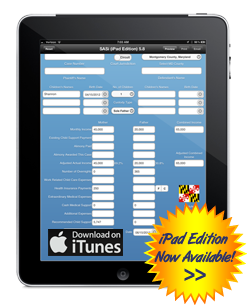 Home Users can now get virtually the same program through iTunes as a mobile iPad app. Home Users can now purchase Divorce Financial Work Sheets and Financial Forms used by professionals. Whether you are a Maryland lawyer, a client or an individual looking to determine your Maryland child support, this is the program you need. The program is extensively used by Judges and Masters to obtain an immediate independent assessment of amounts owed for Maryland child support. Special forms now available: Our financial worksheet allows your to organize your financial information in one place. The financial worksheet is critical for anyone going through a divorce and child support case. Our Legal Forms and 16 page Divorce Financial Worksheet ensures completeness and relevancy towards computing your financial matters and helps you go through a divorce proceeding with ease. 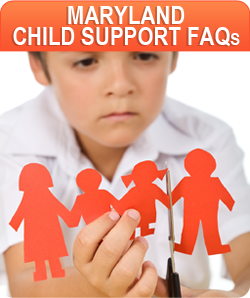 Need to find a Maryland child support lawyer? Check our the links in the footer on this page. Yes! 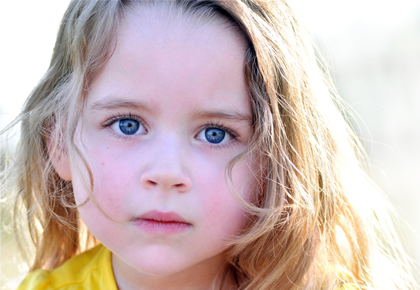 We Are The Providers Of The Software to Maryland Courts To Determine Child Support. * We are not part of any state agency or the Maryland Child Support Enforcement Office. WARNING: THERE ARE SEVERAL ONLINE CHILD SUPPORT CALCULATORS WHO PROVIDE WRONG CALCULATIONS - DON'T BE FOOLED - Use SASI! 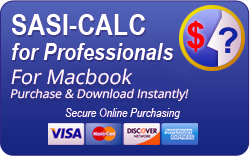 SASI-CALC VERSION 12 for 2016 NOW AVAILABLE, containing the LATEST Maryland Child Support Guidelines.